With League of Legends, one of the most played and critically acclaimed PC games today, Riot Games is a leading innovator that strives to be the most player-focused game company in the world. At Riot, you will work among the most gifted and passionate people in the industry, as we hire only the most talented and collaborative people in their disciplines. We believe the core reason for Riot’s success is people, and we are committed to helping employees grow their abilities and careers as we all continually focus on iteration and improvement. We are serious professionals who don’t take ourselves too seriously. Named a Top 30 Developer by Game Developer Magazine, Riot Games is aggressively expanding, growing the company five-fold over the past two years, and still continuing the search for top talent. To find out more about joining our team, check us out at www.riotgames.com/careers. Dropbox was founded in 2007 by Drew Houston and Arash Ferdowsi. Frustrated by working from multiple computers, Drew was inspired to create a service that would let people bring all their files anywhere, with no need to email around attachments. Drew created a demo of Dropbox and showed it to fellow MIT student Arash Ferdowsi, who dropped out with only one semester left to help make Dropbox a reality. Guiding their decisions was a relentless focus on crafting a simple and reliable experience across every computer and phone. Drew and Arash moved to San Francisco in fall 2007, secured seed funding from Y Combinator, and set about building a world-class engineering team. In fall 2008, Sequoia Capital led a $7.2M Series A with Accel Partners to help bring Dropbox to people everywhere. Recently, Dropbox’s tremendous growth was evidenced by its October 2011 announcement of nearly 50 million users. At Adobe, we believe in hiring the very best and are committed to creating exceptional work experiences by instilling a values-driven culture, encouraging innovation and inspiring excellence. We realize that great ideas can come from everywhere in the organization, and we know the next big idea could be yours. We invite you to join us in our journey to change the world through digital experiences as we redefine business, entertainment, and personal communications. Our impact: We are one of the world’s largest and most diversified software companies with ubiquitous software and technologies that touch anyone who creates, views, and interacts with information. Our people: We’re genuine. There’s simply no other better way to describe our employees. We’re a bunch of talented, fun and engaged individuals who are motivated to do our best work possible in a respectful manner. Our culture: Since our earliest days, Adobe has been committed to a set of core values that were embodied by our founders and remain the cornerstone of our corporate philosophy. We are genuine, exceptional, innovative and involved. As a member of the Amazon development team, you’ll be given the opportunity to have direct impact on the evolution of the Amazon e-commerce platform and lead mission critical projects early in your career. Your design, code and raw smarts will contribute to solving some of the most complex technical challenges in the areas of distributed systems, data mining, optimization, scalability, security and tweaking algorithms, just to name a few. Innovation: Are you seeking an environment where you can drive innovation? Are you interested in finding the best intersection of features vs. performance? Are you up to the task of delivering innovative technology that offers millions of unique products to thousands of suppliers, to tens of millions of customers around the world? Many of the technical challenges Amazon encounters have never been dealt with before on this scale, if at all. Come help lead the way in e-commerce innovation. With a diverse and dedicated student body composed of undergraduates and graduates from around the world, Concordia University’s Faculty of Engineering and Computer Science has established a strong Canadian and International reputation in research and development. The Faculty is committed to preparing its students for a professional career through the delivery of quality academic programs designed to meet today’s technological challenges. The Faculty offers its students a vast choice of exciting programs, courses and cutting edge research opportunities in these subjects and more, with courses given in a high quality learning environment outfitted with outstanding facilities. The core of the Faculty is now housed in a state-of-the-art complex built in 2005 and equipped with a technological infrastructure that maximizes energy efficiency, accessibility, security and safety. Innovators, pioneers, leaders; that is who we are. Genetec challenges the standards of innovation in physical security and public safety with our unified security platform including IP license plate recognition, video surveillance and access control systems. Come and see us at the CUSEC 2012 career fair or visit our website www.genetec.com. Des innovateurs, des pionniers, des chefs de file, voilà ce que nous sommes. Genetec bouscule les règles de l’innovation en matière de sécurité physique et publique, grâce à sa plate-forme de sécurité unifiée qui réunit ses systèmes de reconnaissance automatique de plaques d’immatriculation, de vidéosurveillance et de contrôle d’accès sur IP. Venez nous voir à la foire aux carrière de CUSEC 2012 ou visitez notre site web www.genetec.com. The IBM Canada Lab got its start in Toronto in 1967 with just 55 employees. Today, this number has grown to several thousand due to acquisitions and new missions with sites across the country. When you join our diverse group of fresh thinkers, you will have the opportunity to tap into a level of technical expertise unique to IBM, as well as proven ideas for software development. This blend of experienced professionals, academic learning, and young graduates creates a compelling atmosphere, where different viewpoints come together to form world-class products. Today, Canadians find themselves in a world that is not only smaller and flatter – it’s smarter. Unprecedented global integration and increasingly networked technology are connecting the workplace and the marketplace, enabling new opportunities to do things better and more efficiently. The systems, infrastructures and processes that underpin how business and society function are becoming infused with a new level of intelligence, and that is opening up new possibilities for progress. At IBM, we call this our Smarter Planet vision. Leaders of businesses, governments and institutions have a unique opportunity to leverage this insight and positively transform the way the world works – and the IBM Canada Lab remains committed to helping deliver on that vision. It’s amazing what can happen when the passion of people meets the power of technology. Microsoft works with developers to build powerful, beautiful, compelling applications and games on the Microsoft platform. With products like Kinect, Microsoft® Visual Studio®, Microsoft® Expression® Studio and the versatile .NET®, Silverlight® and XNA® frameworks, developing applications has never been easier, whether it’s for the phone, desktop, web, cloud or consoles. At Microsoft we believe providing quality education to 1.4 billion students around the world is essential to the future of society. Technology can expand the power of education and unlock the potential of students, educators and schools. Our ultimate goal is to help educators make learning a personal experience for students and to create an even more motivating and engaging classroom. We are committed to supporting the Canadian economy through its products, partnerships, and its support of local communities across Canada by creating innovative technologies and helping people apply them to the way they work, play and live. We help people across Canada realize their full potential. Join us for CUSEC 2012. Morgan Stanley is proud to sponsor CUSEC 2012 and we will be present to answer any questions about our firm. Shopify is the Internet’s most elegant, simple and affordable online retail platform aimed at providing businesses with easy to use e-commerce solutions, taking the challenge out of setting up and managing e-commerce storefronts. Shopify’s scalable and flexible full-featured platform enables any size business to efficiently launch and operate an online retail presence with ease. It currently hosts more than 16,000 online retailers, including Tesla Motors, Penny Arcade, Amnesty International, Angry Birds, and General Electric. 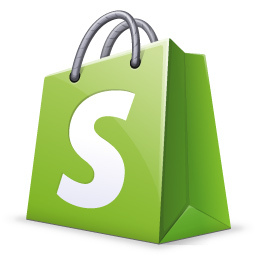 Founded in 2005, Shopify is the flagship product of Jaded Pixel Technologies, headquartered in Ottawa, Ontario, Canada. We are looking for awesome Developers that strive in an open concept workspace and can collaborate with other designers, developers and marketers to produce amazing new features for Shopify and push the limits of e-commerce technology. We want passionate, hard working, talented individuals that want to surpass their current skill set. We want you to be able to produce your best work here at Shopify. We don’t have a dress code, you can start work late in the morning, and play video games whenever you need a break. The office is also located in the trendy Ottawa market so there are lots of cool places to eat and play after work. Accedian Networks™ is the leading provider of High Performance Service Assurance™ solutions for Carrier Ethernet networks. Our family of wire-speed service demarcation and performance monitoring equipment consistently outperforms switches or routers. With a unique hardware-based FastPAAs™ processor at the core of every product, you get the lowest possible latency, most accurate and granular service performance monitoring and traffic conditioning currently available. Accedian Networks. We ARE performance! Every day at Google, software developers work on solving the most fascinating and difficult problems in computer science, making products that improve the lives of billions of people around the world. Google is now hiring recent graduates and interns for software development positions in Montreal, Waterloo, and around the world. Apply today by visiting http://google.ca/jobs! Radialpoint helps large consumer technology brands (PC OEMs. MSOs/Telco’s and Retailers) realize their share of the growing revenue potential of the Connected Home. Our Connected Home Services solutions generate revenue and deepen customer relationships by simplifying technology and solving end-user frustrations. We bring a partner-led platform-based SaaS solution to market that combines our customers’ assets and 3rd party services with our strategic and operational expertise to deliver end-to-end, monetized premium services. Some of the world’s most successful service providers, OEM’s and retailers are powered by Radialpoint generating nearly $1B in revenues to date, and growing. Radialpoint is headquartered in Montreal, Canada with offices in the United States and Europe. For more information, visit www.radialpoint.com, and follow us on Twitter @radialpoint. Evolving Web is a small web development company based in Montreal. We’re passionate about open source technology and building dynamic websites and applications with Drupal. We provide development, consulting, and training services and have built solutions for a wide variety of clients including McGill University, Travelocity and A&E Television Networks. Our team is comprised of passionate and dynamic individuals. We’re active in the local tech community and attend Drupal conferences in North America and Europe. Our developers get the opportunity to work on open source and independent projects on company time. Our small team of developers, designers, and project managers is based in Old Montreal. Please visit our website at evolvingweb.ca for more information or drop by our booth!